AiRTX understands the science behind static electricity and its causes. We’ve developed a host of static control components that will help you eliminate static problems. AiRTX will help you find and implement the right static control solution to meet your needs. Beyond being a general nuisance, static electricity creates serious problems in industrial manufacturing environments. Static in industrial settings can develop on a number of natural and synthetic materials. Not only can electronic systems be damaged by static electricity, shocks can actually result in explosions or fires. That is why static control is essential in industrial applications. AiRTX understands the science behind static electricity and its causes. 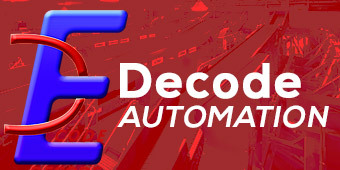 We’ve developed a host of static control componentsthat will help you eliminate static problems. 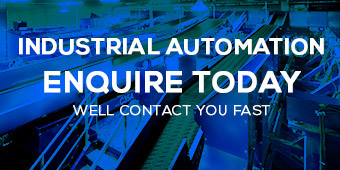 AiRTX will help you find and implement the right static control solution to meet your needs. Model 55000 Series Static Bars feature a unique, inductively coupled design that produces powerful static neutralization, while remaining shockproof. As static control components, these ionizing bars are ideal for sheet, webs and shallow three-dimensional parts. Static bars can be positioned up to 6″ from the target. 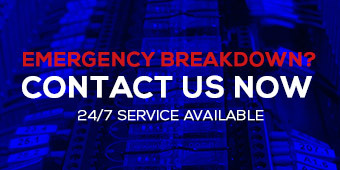 Each static bar is supplied with 8′ of cable. When connected to the 50002 Power Unit, the stainless steel pins in the static bar, or ionizing bar emit an ionized corona which supplies ions of both polarities for static neutralization. When a statically charged item passes through the ionizing bar corona, the free moving ions are drawn to the opposite charge on the item. This is how these static control components neutralize the static. The body of the static bar is anodized aluminum, with stainless steel emitter pins in plastic molding. The inductively operated static bars feature a pow¬er light to indicate On/Off operation. All Static Bars are available with effective length of 3″ (76 mm), 6″ (152 mm), 12″ (305 mm), 18″ (457 mm), 24″ (610 mm), 30″ (762 mm), 36″ (914 mm), 42″ (1067 mm), 48″ (1219 mm). Overall length is 1.5″ longer than effective length. Last 2-digits in the model numbers of the static bars model indicate the effective length. Sample: Model 55012 is 12″ effective length. With a Model 55000 Series Ionizing Bar attached to an AiRTX Air Knife, you can deliver static-neutralizing ions to a target at distances up to 20 ft.(6 m). It’s ideal for web/sheet stock, conveyorized product, extrusions, or arrangement in halo shape to wrap your product in ionized air. Quiet, maintenance-free and a miser with compressed air, the knife is available in all standard knife lengths or (optionally) in custom lengths. All Air Knives are available with effective length of 3″ (76 mm), 6″ (152 mm), 12″ (305 mm), 18″ (457 mm), 24″ (610 mm), 30″ (762 mm), 36″ (914 mm), 42″ (1067 mm), 48″ (1219 mm) Overall length is 1″ longer than effective length Last 2-digits of 85012 Air Knife indicates the effective length. 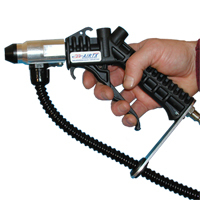 The Ionizing Air Gun is perfect for spot cleaning needs, coupling one of our Ionizing Nozzles with a hand-held Air Gun. Weighing only 11 oz. (300 g.), it’s light enough to be used for extended periods. Will not pull debris from the surrounding air and blow it on the finished product. The air gun consumes only 12 cfm @ 80 psi. Minimal Compressed Air, Neutralize Static, Adjustable Air Flow – More Power! Single Point Ionizer Model 50006. Ionizing Nozzles deliver static-neutralizing air to a target from long range. In addition, they blow away contaminants. Series installation allows them to be linked on a single cable. A power unit built to last . Providing up to 7500 Volts of positive and negative ions to neutralize any static charged product. This is a job proven product that will provide years of service in combating static problems to employees working around high static applications. The Power Supply can operate any of our static elimination equipment.